Trigun Wallpaper: Vash The Stampede. 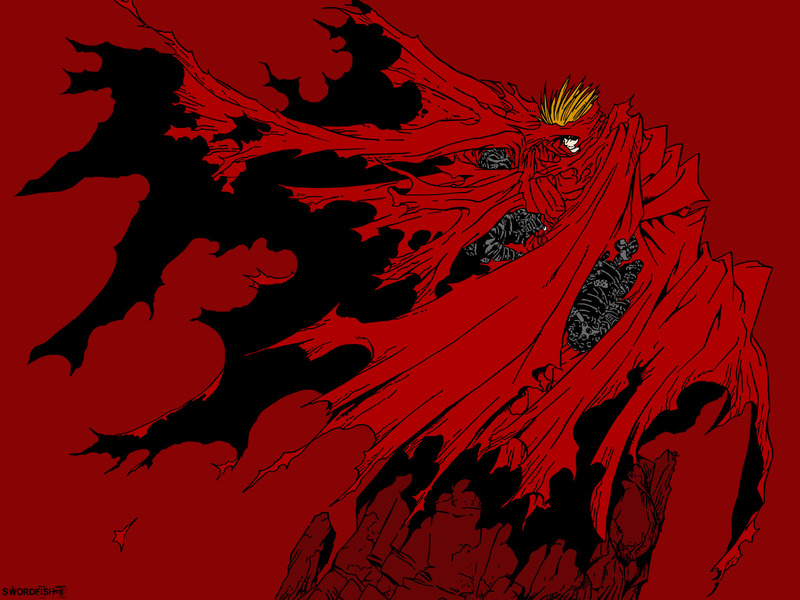 Minitokyo »	Trigun Wallpapers » Trigun Wallpaper: Vash The Stampede. i love using red in wallpapers so red is the theme and the vector was like 606 shape layers dont know why so many I was suprised when I saw the number of shapes. You should really save these kind of wallpapers at a higher-quality, 'cause they become rather grainy when posted.